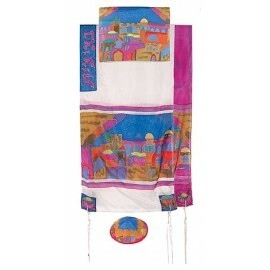 These Tallit are made of the highest quality silk. 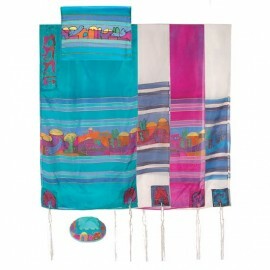 the various motifs, stripes and backgrounds are hand painted on the fabric with a brush. 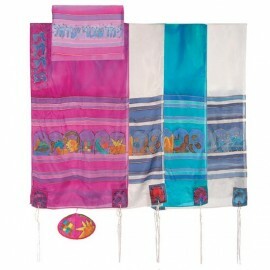 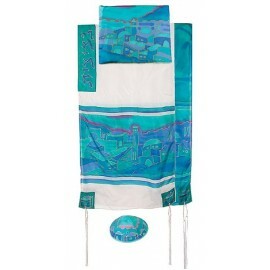 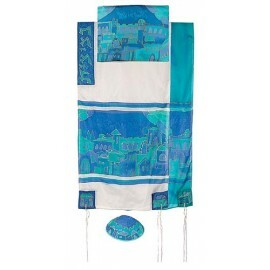 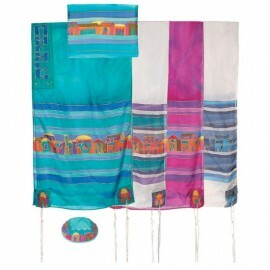 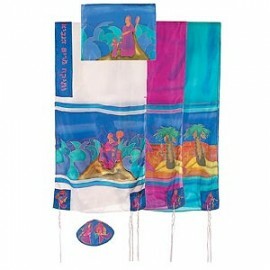 The tallit comes in a choice of three different backgrounds: white turquoise or fuchsia.